Learn more about Ed Constable and being a Realtor from his Q&A session! 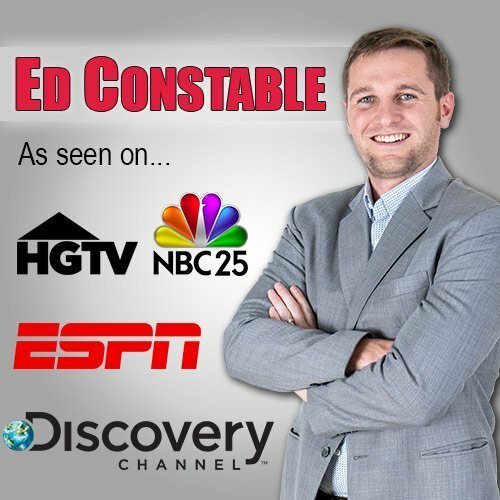 Ed Constable recently interviewed with an intern. One of the great things about being asked questions on your journey in a career and life is being able to reflect back and be proud of who you are and the steps you’ve taken to get there. Read some of his answers to the intern’s questions about working in real estate here! How long have you been working in Real Estate? It feels like I have been in real estate forever, as my dad was a real estate developer and I have been running apartments since I was about 6. I started my personal career in real estate in 2011, just six months out of college. I bought a distressed commercial building in downtown Linden, MI and rehabbed it, slowly leasing out spaces as I remodeled them. About a year after that first purchase, I became a licensed Realtor and started helping other people buy homes and investment properties. What is one of your proudest accomplishments in your field? Well, I just closed my largest transaction to date last week, so that was an exciting day. I really love the business I have built between all of the families and individuals I have helped over the years, and all of the tenants that I provide quality housing and reasonable prices to. What do you wish you knew before you started? I wouldn’t wish any of the journey I have had away. I have learned some lessons the easy way, some the hard way, but I just keep working hard and enjoy the journey. I really love what I do, so I can persevere through many obstacles that other Realtors wouldn’t make it through. If you were asking this question to get a tip about what you should know or work on before working in real estate, I would say to be successful, you have to out-think and out work your competition. A lot of people just imagine big payout days and closing signs all over town. They don’t see the 12 to 15 hour days I put in when no one is watching, or how much effort and time management goes in to make closings happen. It comes with sacrifice. Just like tonight, when I could be at the movies with my wife and friends, but I’m instead sitting in my office at 9pm making sure my clients are taken care of and setting myself up for my next day. What is your favorite thing about real estate? I love that it is something different everyday. As a Realtor, you have to be a puzzle and chess master. Every deal is different and has different variables to work with, from property type and municipality regulations to financing to the personalities of other people involved. It can be a lot to coordinate to make everyone in the transaction satisfied, but it is always worth it in the end. I love solving the problems that come up in both residential and commercial real estate and seeing the end result of handshakes and smiles at closing. What is your LEAST favorite thing about real estate? The hours can be rough. I don’t sleep as much as I wish I did. I set hours from 9am to 9pm; to some, that may seem crazy, but to me, setting that time limit at the end of the day keeps me from overworking myself and taking calls until midnight. It’s important to make time for yourself, and I need some to unwind and spend time with my beautiful wife. How do you build credibility in your line of work? I built a brand and stand behind it. 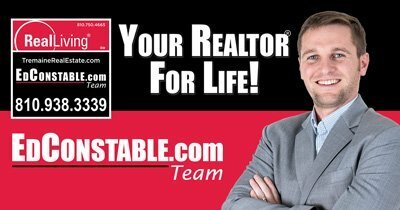 I am EdConstable.COM, Your Realtor for LIFE, available from 9 to 9. In the beginning when I didn’t have enough to spend on advertising, I concentrated on vacant land and main roads to get my signs and name out there. I wanted all of my sphere to know the name Ed Constable, know that he’s a Realtor, and to be consistently reminded via signs all over town and social media. And that’s just the credibility of name recognition. Delivering consistent quality, speedy responses, and completed sales to clients and developing positive relationships with clients is key to being successful and showing that you are reliable and the best Realtor that could be chosen. How important is diction when dealing with clients? Vocabulary isn’t always the most important thing. I can spew out Realtor jargon all day, but that’s not going to be the best thing for my clients or other involved parties. It’s important to be able to read emotions and understand where each person is coming from when working in real estate, or with people in general. Deals have challenges, and it can be stressful to buyers and sellers. Acknowledging emotions & fears and being able to calmly explain what we all need to do to keep a deal together is much more important than diction when dealing with clients to help them arrive at their goal. What are some ways you compare and contrast a property in a listing? I don’t “compare and contrast” a home in a listing. I sell every benefit that a house has. I’m not going to bring attention to what someone else’s house as. I don’t care what it has. It’s my job to sell the house I’m listing, so I do my best to accurately describe the house and show off the great features it has to offer. Every home has something nice about it, and too often I see listings with no description or a bad description. A great description can encourage a buyer to take a personal tour of a home and see its potential for themselves, whereas those lacking descriptions don’t have a change with buyers as they’re browsing online. Would you recommend working in real estate as a career? Yes, but only if you are determined and have a heart. As a rule, I am a very positive and upbeat person, but the pressure of this position can get to you. There is no security of a regular paycheck every other week. One good thing is you are your own boss, but the bad thing is you are your own boss. You need discipline to follow through and complete tasks without someone else directing you. Being a Realtor and investor is definitely worth it if you can work hard and be dedicated to helping your clients at the drop of a hat. Success in real estate only comes through self-discipline and motivation. Have any questions for Ed Constable? Call him at 810-938-3339 and have a conversation about how his drive and passion for working in real estate can help you!